This review first appeared in the Times Literary Supplement of 11 November 2016 (p.35). The author has formatted it for the Victorian Web, adding the two long (inset) quotations, page numbers from the book under review, illustrations from our own website, captions, and links. Moving beyond obvious topics like copyright, or the deployment of financial motives and plot contrivances in fiction, the papers have been divided into areas of "broad" and "particular" abstractions, and deal with a variety of subjects. Aeron Hunt provides the first chapter, exploring Victorian ideas about the heritability or otherwise of business acumen with the help of Margaret Oliphant's Phoebe Junior (1876) and Hester (1883); and Tromp herself closes the book, appropriately enough, with the often troubling power of wills to redistribute wealth, not simply within the family or even society, but beyond both: Old Featherstone's will in George Eliot's Middlemarch becomes an example of the tensions and consequences that this could produce when the money reaches the "illegitimate foreigner" (206) Joshua Rigg. 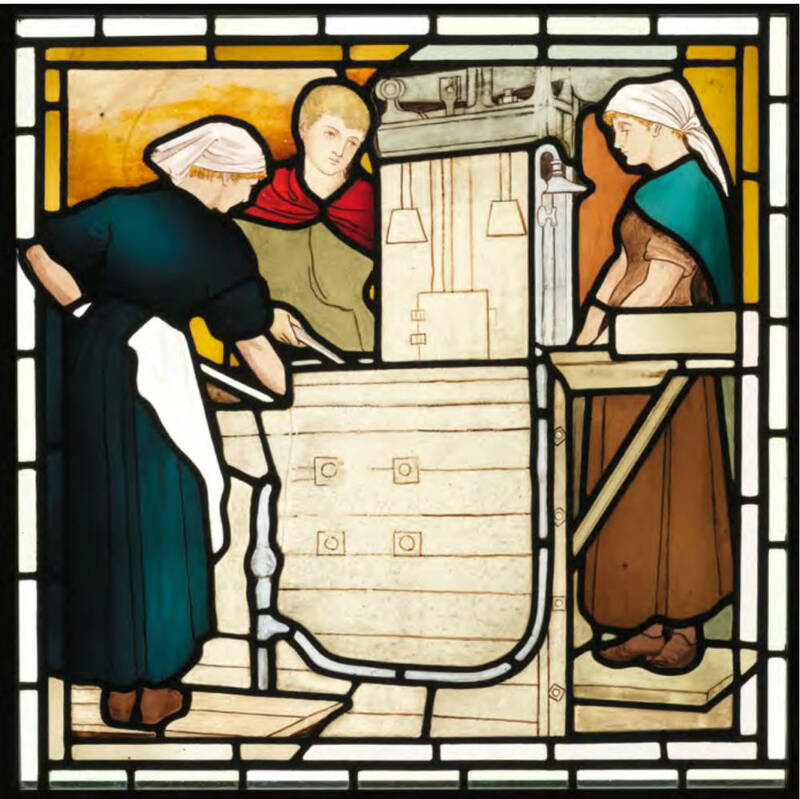 Textile workers (calico printers) in a stained glass window designed by Stephen Adam in the Maryhill Burgh Halls, Glasgow. There is nothing in the collection about Trollope, which may surprise some readers, and the major author most fully discussed here is not Dickens, but (rather refreshingly) Sir Walter Scott, whose ideas on nationhood emerge from Kathryn Pratt Russell's examination of the textile industry in novels like St Ronan's Well (1823) and Chronicles of the Canongate (1827). Harriet Martineau also makes an important appearance in Bivona's own chapter on Darwin's ideas of competition, with her influential Illustrations of Political Economy (1832-3). However, the range is wider than this suggests, chronologically, geographically and conceptually. Jennifer Hayward, for instance, introduces with a flourish "El Metálico Lord" — Admiral Thomas Cochrane, who in the late 1850s decided to commodify himself by publishing a self-promotional account of his revolutionary activities in South America. 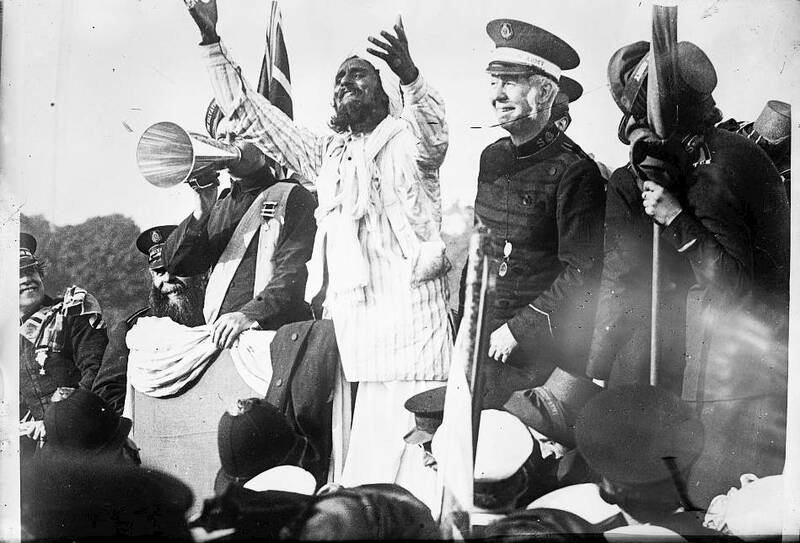 Confession of an Indian, with Bramwell Booth, General of the Salvation Army, on the right. This photograph happens to have been taken at a meeting in England, but Suzanne Daly's chapter deals especially with "Salvationism in the Colonial Context." The word "value" itself transfers easily from the material to the spiritual, calling at all stops in between; productivity, competition and many other terms apply as much to the creative as the economic sector; and the cultural market-place is as thronged, complex and international in its dealings as any stock market. Art collecting, for example, has long been a form of investment. Still, Cordelia Smith's chapter on art unions and gambling may also surprise many: subscribers to the art union lotteries had a chance of winning an artwork in a prize draw. There is nothing new, then, about raising money for heritage projects through the National Lottery, or "crowd-funding," or, indeed, "lucky-dip" sales of unsigned art-postcards. Collections of conference papers can be heavy going, but these essays give some intriguing insights into what is evidently a fruitful, revealing and ever-relevant field of interdisciplinary study. 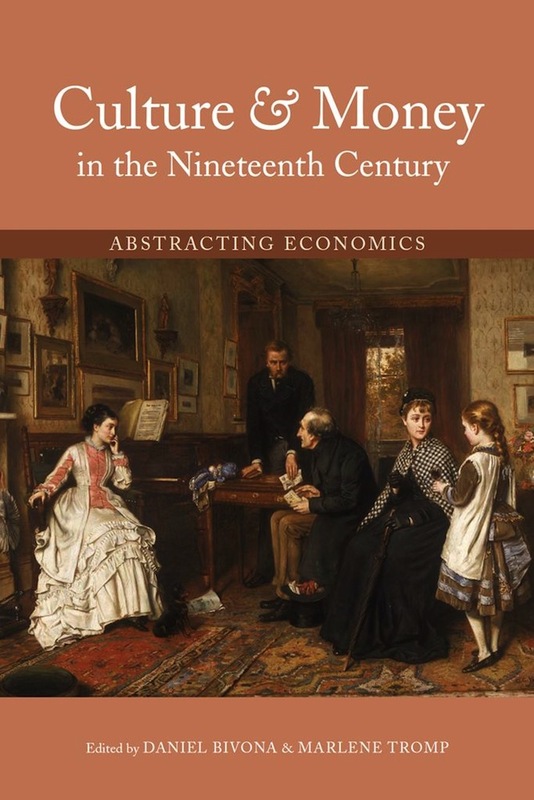 Bivona, Daniel, and Marlene Tromp, ed.Culture & Money in the Nineteenth Century: Abstracting Economics. Athens, Ohio: Ohio University Press, 2016. Hardback. 230 pp. £66.00. ISBN: 978 0 8214 2196 3.